From simple latex arrangements through to foil and shaped varieties, there's not many situations that we can't provide for. 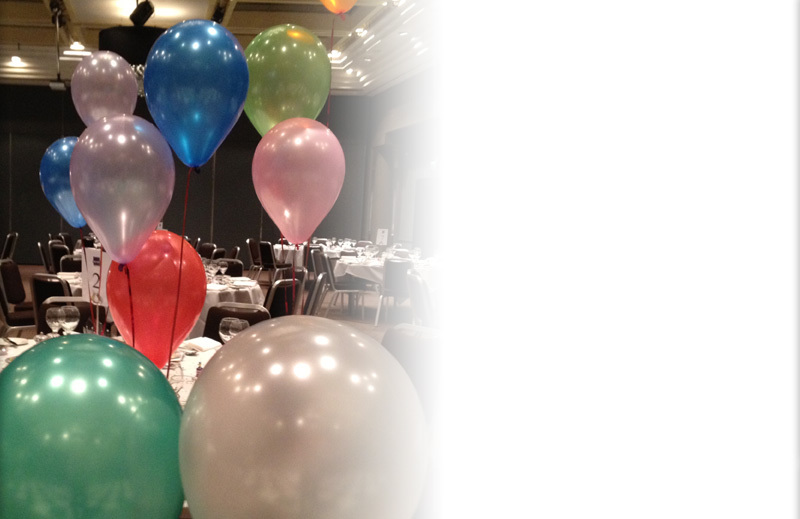 No matter if it's a single balloon that you need filled with helium gas or a Complete Event Solution comprising of table arrangements and Themed Clusters, talk to us as we will work with you to put together a package that suits your specific requirements. We source and supply Balloon Weights and Ribbon that match your event theme perfectly and what's more, if we dont have what you need in stock, we'll do our best to source what it is your looking for - All part of the service. Call our friendly team to discuss your Party Balloon requirements on (01793) 496929.
give us a call and we'll do everything we can to make it happen for you.